Muvi’s HTML5 Online Video Player is completely customizable and is packed with enormous features that provides the best video streaming experience to your viewers. Muvi Player has unique features like subtitles, dual audio, responsive design, cross browser and cross device compatibility, and embed option that allows you to insert it and integrate it with virtually any 3rd party website, mobile or TV apps! Muvi Player supports different revenue options like Subscription – SVOD, Video Advertising – AVOD, and Pay-Per-View – TVOD allowing you greater control and flexibility over how you chose to monetize your videos digitally! Muvi's iOS player can play videos on any iOS device effortlessly. It is faster than HTML 5 player. The player is also capable of playing live streaming content. Muvi’s Audio Player is laced with advanced features like responsive design, multi-bitrate transcoding, cross-device and cross-browser compatibility to deliver seamless music streaming. You can also embed the player to any third-party website, change the playback speed and add the music tracks you like to your favorite list directly from the player. Define the look and feel of your own Video Player with preferred colours and styles to match your platform brand. With Muvi Player, not a single platform will look similar. You can also add a logo to the online video player which gives each site a unique identity. You can add Subtitlesof any language. 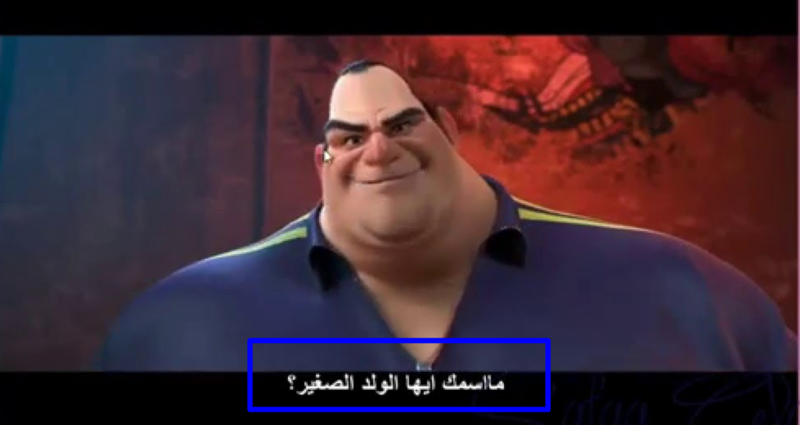 Users can select the subtitle of their choice when they play watch video on the player. 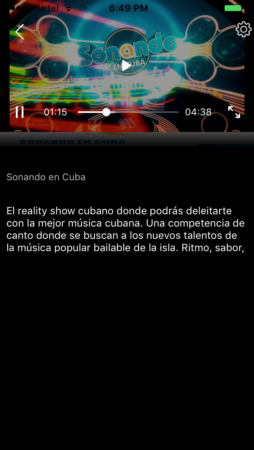 Muvi player supports SRT and VTT format subtitles and you can simply click-browse-upload the same onto your videos. Muvi player supports multiple audio languages. 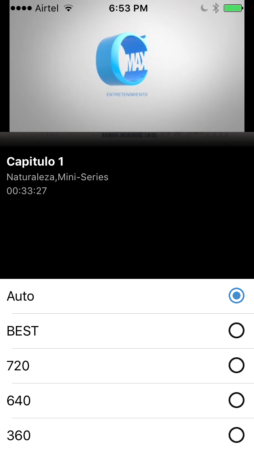 Provide content with multiple audio track in different languages for your viewers to select the audio track by clicking on the multiple audio icon (See below screenshot) during playback. We support audio in multiple languages for both DRM and Non DRM content. Muvi player supports 5.1 channel audio. Your users can enjoy 5.1 surround sound effect while watching their favorite movie. You need to upload pre-formatted videos to the Video Library/Content Library which already have 5.1 channel audio integrated to them. When users play these content in our player, they will experience the 5.1 channel audio effect. Note: 5.1 audio is not supported in Chrome Cast player. Muvi player supports continuous playback across different platforms and devices allowing a viewer to Resume Playback of any video from where she/he left. The Player Remembers the last played video of its each viewer. This feature works across all the platforms as well as for offline viewing (Mobile, TV Apps and Website). You can also enable the feature “Resume Watch from Last Seen” to allow the users watch the episode where he/she has left watching it. When the users try to play the multi-part content, it will play the episode where the user has left watching instead of playing from the beginning. To know more about how to enable “Resume Watch” please Click Here. If you enable this feature, then the episodes in a multi-part content will be played automatically. Muvi provides an option for you to choose a Hollywood Studio Approved DRM, specializes in Audio and Video encryption of digital content during transfer between server and client’s computer ensuring a complete security environment from hackers, as well as from 3rd party plugins and video download software. Muvi player allows to you to add Dynamic Watermarkon your videos like viewers Email Address, IP Address, Date. It is difficult for any user to remove the watermark as it is not fixed at one part of the screen but moves all over the screen. It discourages viewers from using screen capture software or camera to record your videos. Embed your videos or share the embed link with any 3rd party website or mobile / TV apps to increase your revenues! Muvi provides a very simple and easy to use embed code option to you via which you can not only share the embed code with your partners but also restrict them from sharing it with others without your knowledge by entering their domain in the restrict embed code option. This provides a high level of control to you over sharing of your content. When users play video in our player, they start in high quality by default. Later, switches to a lower quality if required based on the internet speed. End users can also change the resolution manually if they want to. The end users can now see buffered duration on the player. When a user hovers on the progress/seek bar, he/she can see both played duration and buffered duration on the progress bar. When you are watching a video on your Muvi player and you paused it for some time, then the video will stop downloading in the background. This feature can save the unnecessary consumption of bandwidth. When you resume playback, the video will again start to download. Note: In Safari browser, Player starts in mute mode. Users need to increase the volume of their device manually to watch the content seamlessly. Muvi iOS player can play videos on any iOS device effortlessly. It is faster than HTML 5 player. The player is also capable of playing live streaming content. You can add Muvi advanced player to your website. Once you add the advanced player, it will be displayed in a separate page ( i.e. Player Page) on your website. The page will contain the player as a section along with other information such as content details, related videos and a queue of videos for multi part content. When you click on a content, it play in the same page. Note: Currently, Muvi Advanced Player is only available in Revo, Modern and Classic template. You can fully customize the player using the Template Editor (Go to ‘Website“–>”Templates” –>”Manage Template” in your CMS. Click on the “Edit Template“. In the Template Editor, click on “Views” . You can customize the player screen, add Google ads, add images etc. When you click on an audio content, it will play in Muvi’s Audio Player. To exit the player, either you can refresh the page or switch to another page. You can control the speed of the audio playback. To enable speed control of the audio playback, click on “Player”. Select the check box for “Playback Speed Control (Audio Player Only)”. When you play audio next time, you will see the playback speed control option on the player. While playing any audio content, you can add it to your favorite list. Click on the heart icon to add the specific song to your favorite list.